The processor you choose usually determines which motherboard you select: Motherboards are designed to work with specific CPUs, indicated by the type of socket that the processor fits into. For example: Socket A, Socket 939, and Socket 940 are designed to work with Athlon processors, while Socket 478 and the new LGA socket 775 are for Intel CPUs. Many resellers offer bundles consisting of a processor, a motherboard, and memory; these can be a good way to save some money, and make the selection and compatibility process vastly easier. Get the best processor and motherboard you can afford! The system chip set (the chips that pass data between the peripherals and the CPU) is the other component that differs among motherboards; it determines which integrated components (graphics, sound, Ethernet, etc.) will be included. Though integrated graphics aren't generally as good as dedicated cards, they're usually adequate for simple office tasks (home users will probably want separate Video Adaptors for game playing). 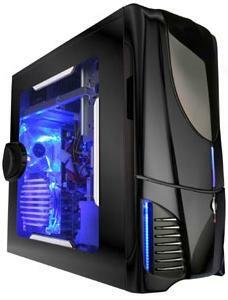 The variety of computer cases is staggering, with hundreds of styles, shapes and sizes available. We recommend that you look closely at the features. Some gorgeous PC cases are nightmares to work with, or are cheaply built. Get the best case you can afford! The right Computer Case can make working with your system a dream, but picking the wrong one will come back to haunt you. Though you can find a case plus power supply for less than $50, it is recommended that you invest a bit more to obtain a case that will last through many upgrades, has a high-quality power supply, and is attractive. Case Form Factor: Most cases and motherboards use the ATX form factor (a set of design standards that specify things such as the size of the motherboard and the connectors on the power supply). It's critical that your motherboard match the form factor of your case. Be aware of other standards are available (for example: Shuttle-style cube-shaped systems that come with their own custom motherboard). Check carefully and note the form factor when buying your case.